You may have noticed our heroine’s twitter feed has much less to do with writing and much more to do with politics these days, Dear Reader. Fear not, I have not forgotten about writing. I’m trying to pace my outrage and get back to writing. When I was quite young, my parents were grooming me to go into politics. Specifically their politics. They were stoic Republicans, very conservative Nixon backers, and therefore so was I. In our house, it was unheard of to think for yourself. And hey, I was 9 years old. So I went to the political meetings in my area, I campaigned with my local Congressman and did photo ops with him, and I thought I was doing my part for the country. When I was 14, I was perhaps the youngest person to intern in a Congressman’s office in DC. Everyone thought my high school class ring was a college one and assumed I was older. I was served along with my co-interns in other offices when we went out to clubs. My Congressman, who knew me from the campaign trail, was a leader in the Conservative Union. He led the way in a treaty with the Soviet Union. While in his office, I learned a lot. The biggest lesson was what he and my parents stood for. That’s the history. I could go on, such as talking about my future involvement in campaigns after I left home for college at 16 and was no longer forced to hold my tongue. When Reagan was elected, my friends and I shared a few bottles of cheap wine and formed a small procession through the campus, carrying candles to the flagpole, where we extinguished our candles in a dramatic gesture of dismay for the country. More recently, I campaigned for Obama and helped people who were voting for their first time, young and old, to be prepared for the ballot process. I confess, I teared up with some of them, both nervous and excited to be electing him. Oh, looks like I went on after all. Sorry. Stream of consciousness blogging. None of this prepared me for what’s taken place in our country, our world, over the last year. But writing. 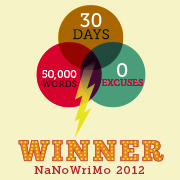 I got nowhere with NaNoWriMo in November. The election devastated me. I was sick almost immediately and then both my older son and I were hospitalized at the same time. The story remains to be written and it’s entirely escapism, especially for me as the writer. As yet it is untitled. I call it the Historical Romance Trope Novel. I’m going to continue to be politically active. I can’t imagine not being involved to the best of my ability. Keep making those calls. March if you can. But take time to be creative, too. It’s healing, both for you and for our world. Are you struggling to be creative in this climate, no matter where you live? How are you coping – or ARE you coping? I’d love to hear from others who are doing well, not doing well, or just getting by day to day. It’s been hella year for our heroine. Mostly health related and don’t worry, I’m not going to kvetch about details. We also just moved in a hurry after at the last moment being offered a ground floor unit in a nicer apartment complex. Snagged it in a hurry! I have not been writing. I do plan to do NaNoWriMo, so I need to get started on at least some planning and flash writing to build traction. The NaNo I began last year is in such dire need of revision (as in the first six chapters need to go! ), I may use that as my NaNo and write it from word one. There are characters I didn’t develop who would add great texture to a rewrite. No cheating, though. Some plotting/planning and then writing from word one. I’ve had some interesting ideas for writing lately, but unusually, they’ve just gone up in puffs of smoke when I consider writing. I’m beginning my own storystarters file so I can get hold of them properly. Here’s hoping I have something new to show you soon. In the meantime, I wish you great words, great fortune, and really shiny worlds! Our heroine got her cast off Wednesday after breaking her wrist six weeks ago, dear Reader. Very lucky in that it was my non-dominant hand. I could type well enough with the first cast to keep up occasionally on Twitter. The second one was tighter and went further up my hand, keeping the knuckles from bending enough to type. One handed typing was possible, but frustrating. Naturally, I found speech to text in Windows this past Monday. Grf. A better, more determined writer than I would have overcome it all, no doubt. Between the pain and hurdles typing properly, writing seemed out of the question. I touch type rather quickly. Many keys on my keyboard are blank now, I discovered. Picking about on the keyboard for the right key, backspacing repeatedly, and muttering curses added up to me giving up on the idea of writing. Writing anything, really. The few emails I wrote, always late, were merely a few lines with little capitalization. Writing a story or, even worse, trying to edit one? Right out. Suffice to say I was dreadfully aware of what I could not do in all areas of my life. Not an boon given a bad mood already going on and bad stuff in local and world events. Now I’m in a hard brace which was custom molded and is held on with a velcro strap. I’m home from the hospital for the… fourth? fifth?… time since I broke my wrist and am feeling more optimistic. My larger challenges for right now are a) figuring out what to write and/or edit and b) resting my wrist often enough that I don’t overdo it while writing. Maybe a timer for when I’m at the keyboard? I’ll borrow Son’s R2D2 kitchen timer. Excellent idea, dear Reader. Thank you. What sorts of excitement have I missed in your lives? Any wtg to pass on? Maybe you could use some good thoughts passed your way. I’d love to join. Please let me know. Either way, please be aware you’ve been missed and I thought of you often. In a good way, I promise. This is not a New Year’s resolutions post. Really. It’s just bad timing, so it looks like one. It’s been a rough patch. I didn’t complete NaNo because of rolling illnesses, not the least of which had me hospitalized for over a week. I’m not going to complete the final total rewrite of a certain novel as I planned. My home is a pit. Granted, given the circumstances, all these things and more are understandable. They contribute to my general sense of discouragement, though. Rather than wallow (okay, so I wallowed – I’m moving on), I tried to look at my life with realistic expectations. I figured it was the springboard for any goals and plans. Makes sense, right? Easier than it sounds. When being brutally honest with myself, I focus on the brutal part or shy off the realities as they are. Happy mediums are challenging. When I feel like being brutal and I rein myself in, I feel like I’m being a Pollyanna. When I’m ignoring things and I try to be more aware, I become a stubborn ostrich. Either way, my natural instinct is to fight being dragged out of my ridiculous truculence. As I write this, I feel weak from a combination of illnesses and the side effects to a medication. It would be easy to put off dealing with this issue. I’m starting to think perhaps this is an opportunity to make the most of a bad situation, though. My natural instincts to fight against logic are fuzzy from exhaustion. It may be a slog, but I’m coming up with what seem to be realistic expectations. Problem I keep tolerating: Son is fixated on playing online video games during his holiday and I can do little, so the apartment is becoming even messier. Proposed Solution: Change tactics. He likes to cook, so I got him an R2-D2 kitchen timer. I’ll make an agreement with him to set the timer for a one hour block of work a couple times a day. It’s amazing what he can get done in a short time with his music blasting. I can do a little bit at the same time and then do little things he missed along the way. Problem I keep tolerating: Finances are out of control. Proposed Solution: Get organized and get them the hell under control. A recent huge reduction in our monthly budget will create huge problems if I don’t stay on top of things. I’ll get a few inexpensive tools and create a system for keeping track of bills and payments rather than the haphazard system known as barely controlled chaos. Problem I keep tolerating: I’m not writing. Proposed Solution: Write. Gee, that sounds simple, doesn’t it? Well, it is. Yes, I’ve been sick and it often makes writing pretty impossible. Even when I could push myself to write something, anything, I didn’t write because it wouldn’t be good enough. Good enough? By whose standards? Who the hell am I, some literary phenomenon who churns out awe inspiring prose every day? Feh. Okay, that was a little of the brutality sneaking in. In simple terms, I must write whatever I can, when I can. I must set goals and be prepared to make them fluid enough to both challenge me and respect conditions as they exist. I will work on the final rewrite of the novel with an aim to completing its first draft by the end of January 2015. Beyond that, I will set first edit and send to betas goals as appropriate. I’ll also try to blog again, perhaps even doing a flash fiction or two in the next month. My energy reserves are used up for the moment, so no more. It’s more than enough to begin the process of decrapifying my life. As for New Year’s resolutions? I don’t do them. Really. Congratulations to my dear friend, my mentor, Johanna Harness, on the publication of her novel SPILLWORTHY! It’s a remarkable story told in such a clever manner, the reader will inhale it in one sitting. The characters are beautifully exposed in their own writing. As the story unfolds, the suspense builds urgency. SPILLWORTHY is so worth your time. If you found this book, you were meant to find it. Surely you know Johanna Harness, at least by name, if you’re a writer or reader on Twitter. She created the enormously popular #amwriting hashtag and community. Whether you know her or not, take a look at her bio at the bottom of this piece. Have you read the excerpt Johanna posted? Oh, do read it! It’s a choice segment from the start of the story which introduces a charming, somewhat jaded young man. Reading it will make the next part of this blog make more sense. Go on, take a moment. We’ll wait. See, the fascinating mind of Johanna Harness suggested writers put together cameo appearances of one of *our* characters within the SPILLWORTHY world. That’s what’s coming next. So much fun to write! My character, Dawn Garson, writes in first person. She appears in the first book of my Mirror saga, as yet unpublished. Encouraged by my sons, I took a vacation in this world. Of course, they didn’t know of my sojourns into the other one. Having heard so much about Portland, I chose it as my destination. The last two days proved it was the right place. So green and lovely. I’m not exactly made for tromping around sightseeing, but my cane and I made good use of the time. I found myself in a little neighborhood not far from the hotel which suited my budget. Glancing around, I caught sight of a second hand store. On impulse, I crossed the street to it and browsed a bit. I found a pretty blouse and a couple of beautiful coffee mugs which would be practical in both worlds. As I left the store, still stuffing the new items into my shoulder bag, a shop window grabbed my attention. It was a music shop, a lot like the one in which I worked so many years ago. While the medium changed over the years, music store windows did not. This one was plastered with promotional posters, still album cover sized. Rampant images and color gave way to… what was that? I honed in on the unlikely poster. It was not a poster at all. In fact, it looked like a pizza box top, complete with a couple of grease stains. Dense handwriting covered it. I stepped closer and read about Keats. It was like stepping into a cloud of happiness. The writer not only analyzed Keats’ writing well, the prose was positively lyrical. Clearly, someone with a poet’s soul wrote from his joy. I wished I could meet him or her and share a meal, just jabbering about whatever came up. Giddiness bubbled inside me at the thought. Hungry by then, I stopped in at a nearby pizza place. I guess I was inspired by that not-a-poster. A couple supreme slices later, I had the rest boxed up to put into the minifridge in my hotel room. As I left, a kid quietly stopped me and asked if I would give him the leftover pizza. Poor kid was grubby and wore clothes made for someone of another size. I didn’t have to think about it. “Yes, please take it and enjoy. It’s still warm.” His face lit up and after thanking me, he walked to the corner and sat next to an old man with a dog to share the feast. Portland. Such a good choice. Johanna Harness bio, as taken from Goodreads: Johanna Harness writes middle grade and young adult stories in both Northwest and fantastic settings, often forgetting which is which. She created the #amwriting community on Twitter. My opinion of her bio? Far too short, but once the writer starts on a complete picture of this woman, it’s hard to stop. Not just a talented writer, she’s a mother, wife, homeschooler, caretaker of critters large and small, and so much more. You’ll want to read SPILLWORTHY, available in paperback and Kindle format. I predict awards and great things for this novel and for Johanna herself. Our heroine is going through a dry spell, Dear Reader. Grinding and grinding on old work, novels and flash alike, trying to make them better. Is the theme there? Is the hook set? Does each sentence propel the story forward? Are the voices different enough? And heaven help me, is this world consistent in its building? 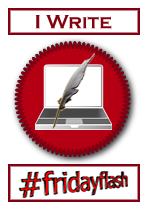 Recently, I shared a flash with a friend from #SciFiChat and gratefully received her feedback. Before sending it, I expanded it beyond strict flash rules, but it was still flash length. She was charming in her comments, but through them I saw a major flaw with the story as written: it’s too damned short. Given the assignment of a flash, it would probably answer the question well enough with some tweaking. Given the opportunity to tell the whole story? Time to think outside the flash. I’ll still write flash, of course. It’s a wonderful editing muscle which keeps me in shape for other projects. My novels improved with my editing skills. Giving myself over to the story must take priority, though. Let the story dictate its format. Just. Write. Sound familiar? It should if you read my blog, especially around NaNoWriMo time each year. Who knows? I might just become a writer again. How are you doing on your project right now?